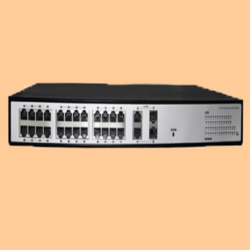 Offering you a complete choice of products which include poe switcher - 16 port with fiber gigabyte ports, smps for cctv - 5 amps - water proof, bnc connector - gold, smps for cctv - 2 amps, smps for cct v - 3 amps and smps for cctv - 5 amps. 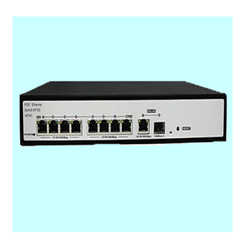 This iV-Pro Model: iV-SW-POE-16-SFG-U4 is a 16 Port Ultra Industrial Grade POE Switch with Dual Gigabyte Uplink with Fiber Optic connectivity and high quality in built components to deliver High Definition video data transmission with dual uplink Ethernet ports for Multiple connectivity. The Switch supports 15.4 or 30 Watts of Power Over Ethernet connectivity with VLan Switch features for long distance transmissions with distances of up to 200+ Meters on a Single Cat6 Cable with Led indicators for monitoring. This iV-Pro Model: iV-WPSU-5A-12V is a 5 Amps Waterproof Ultra Industrial Grade Fiber Enclosure Power Supply SMPS with high quality in built components to deliver stable Power and Voltage to the Cameras for better performance in Array supported Surveillance products. The Power Supply supports safety against Lightning and over voltage fluctuations with advanced features of Voltage tweaking for the power to travel at long distances with up to 500 Meters. 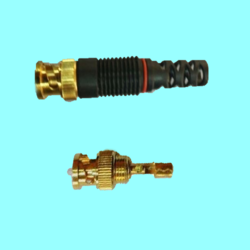 Our organization is counted among the distinguished wholesaler, trader, distributor & supplier of BNC Gold Connector. It is 100% Pure Copper for Excellent Connectivity Anti –Corrosion / Rust – Proof with No Signal Loss , Our given BNC Gold connector is developed with top quality components & contemporary techniques in conformity with the set norms. The two stud bayonet coupling system of the BNC yields an easy-to-use, quick connecting/disconnecting device that accounts for the BNC's popularity. Offered BNC connector can be fetch at affordable rates in a promised time frame. 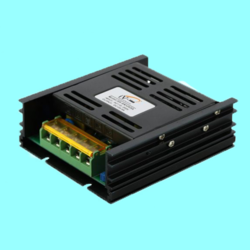 This iV-Pro Model: iV-PSU-2A-12V is a 2 Amps Ultra Industrial Grade Metal Enclosure Power Supply SMPS with high quality in built components to deliver stable Power and Voltage to the Cameras for better performance in Array supported Surveillance products. 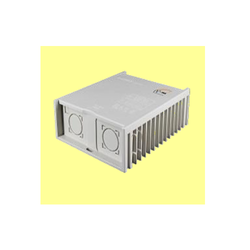 The Power Supply supports safety against Lightning and over voltage fluctuations. 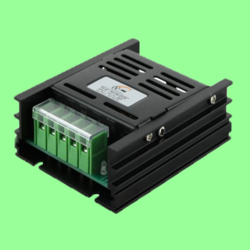 This iV-Pro Model: iV-PSU-3A-12V is a 3 Amps Ultra Industrial Grade Metal Enclosure Power Supply SMPS with high quality in built components to deliver stable Power and Voltage to the Cameras for better performance in Array supported Surveillance products. The Power Supply supports safety against Lightning and over voltage fluctuations. 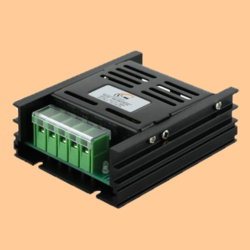 This iV-Pro Model: iV-PSU-5A-12V is a 5 Amps Ultra Industrial Grade Metal Enclosure Power Supply SMPS with high quality in built components to deliver stable Power and Voltage to the Cameras for better performance in Array supported Surveillance products. The Power Supply supports safety against Lightning and over voltage fluctuations with advanced features of Voltage tweaking for the power to travel at long distances with up to 500 Meters. 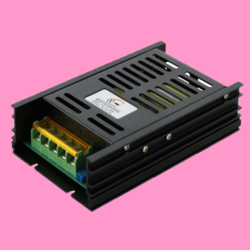 This iV-Pro Model: iV-PSU-10A-12V is a 10 Amps Ultra Industrial Grade Metal Enclosure Power Supply SMPS with high quality in built components to deliver stable Power and Voltage to the Cameras for better performance in Array supported Surveillance products. The Power Supply supports safety against Lightning and over voltage fluctuations with advanced features of Voltage tweaking for the power to travel at long distances with up to 500 Meters. 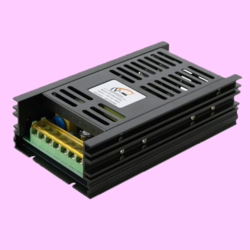 This iV-Pro Model: iV-PSU-20A-12V is a 20 Amps Ultra Industrial Grade Metal Enclosure Power Supply SMPS with high quality in built components to deliver stable Power and Voltage to the Cameras for better performance in Array supported Surveillance products. The Power Supply supports safety against Lightning and over voltage fluctuations with advanced features of Voltage tweaking for the power to travel at long distances with up to 500 Meters. 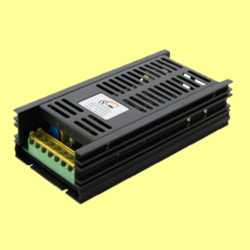 This iV-Pro Model: iV-PSU-30A-12V is a 30 Amps Ultra Industrial Grade Metal Enclosure Power Supply SMPS with high quality in built components to deliver stable Power and Voltage to the Cameras for better performance in Array supported Surveillance products. The Power Supply supports safety against Lightning and over voltage fluctuations with advanced features of Voltage tweaking for the power to travel at long distances with up to 500 Meters. 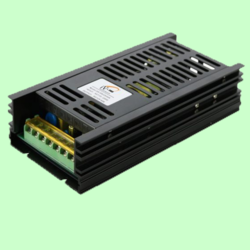 This iV-Pro Model: iV-PSU-40A-12V is a 40 Amps Ultra Industrial Grade Metal Enclosure Power Supply SMPS with high quality in built components to deliver stable Power and Voltage to the Cameras for better performance in Array supported Surveillance products. The Power Supply supports safety against Lightning and over voltage fluctuations with advanced features of Voltage tweaking for the power to travel at long distances with up to 500 Meters. This iV-Pro Model: iV-SW-POE-4-U2 is a 4 Port Ultra Industrial Grade POE Switch with high quality in built components to deliver High Definition video data transmission with dual uplink Ethernet ports for Multiple connectivity. 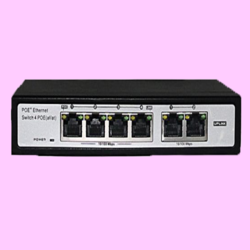 The Switch supports 15.4 or 30 Watts of Power Over Ethernet connectivity with VLan Switch features for long distance transmissions with distances of up to 200+ Meters on a Single Cat6 Cable with Led indicators for monitoring. 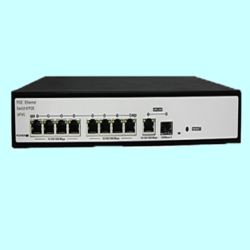 This iV-Pro Model: iV-SW-POE-8-U2 is a 8 Port Ultra Industrial Grade POE Switch with high quality in built components to deliver High Definition video data transmission with dual uplink Ethernet ports for Multiple connectivity. 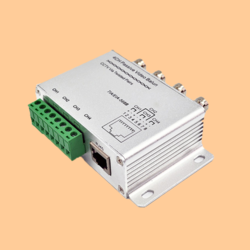 The Switch supports 15.4 or 30 Watts of Power Over Ethernet connectivity with V Lan Switch features for long distance transmissions with distances of up to 200+ Meters on a Single Cat6 Cable with Led indicators for monitoring. This iV-Pro Model: iV-SW-POE-8-SFG-U2 is a 8 Port Ultra Industrial Grade POE Switch with Gigabyte Uplink with Fiber Optic connectivity and high quality in built components to deliver High Definition video data transmission with dual uplink Ethernet ports for Multiple connectivity. 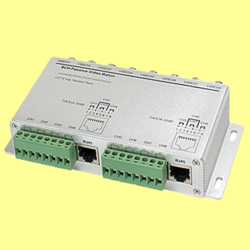 The Switch supports 15.4 or 30 Watts of Power Over Ethernet connectivity with VLan Switch features for long distance transmissions with distances of up to 200+ Meters on a Single Cat6 Cable with Led indicators for monitoring. This iV-Pro Model: iV-SW-POE-24-SFG-U4 is a 24 Port Ultra Industrial Grade POE Switch with Dual Gigabyte Uplink with Fiber Optic connectivity and high quality in built components to deliver High Definition video data transmission with dual uplink Ethernet ports for Multiple connectivity. 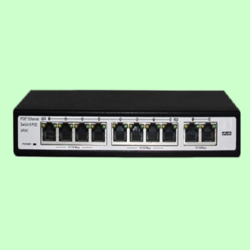 The Switch supports 15.4 or 30 Watts of Power Over Ethernet connectivity with VLan Switch features for long distance transmissions with distances of up to 200+ Meters on a Single Cat6 Cable with Led indicators for monitoring. We Are The Leading Manufacturer And Suppliers of DC Pin Supply South India Such As Thiruvallur, Chennai, Kancheepuram, Vellore, Thiruvannamalai, Krishnagiri, Dharamapuri, Villipuram, Cuddalore, Salem, Erode, Namakal, Perambalur, Nilgiris, Coimbatore, Tiruppur, Karur, Tiruchchirapalli, Ariyalur, Nagapattinam, Thanjavur, Thiruvarur, Nagapattinam, Pudukkotai, Dindigul, Theni, Madurai, Sivagangai, Ramanathapuram, Virudunagar, Tirunelveli, Thoothukudi, Kanniyakumari, Hosur, Rajapalayam, Puduchcheri, Kerala . 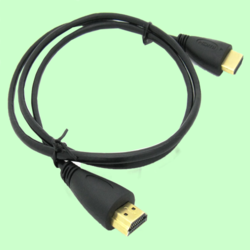 Usage/Application VGA cable is a device used to transfer video signals. 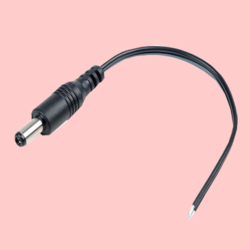 VGA is A Common Cable for Computer Monitor, Its Quickly Connect your Cctv’s Audio / Video to your Monitor through one Cable. 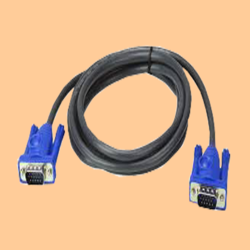 This VGA Cable ia A standard 15 Pin Connector for Computer & Monitor with VGA Ports. Its Designed for High Resolution Monitor & High Quality Signal Transmission, & VGA Cable has 2 Ferrite Beads to Preserve Best Signal Quality. 15 Pin VGA Male to Male Cable. Model : VGA , Regular (Black). Also Available in Premium Ultima White :: 3 Meters , 5 Meters, 10 Meters , 20 Meters. 8 CH UTP Video Balun is to convert the Video Signal into the Balanced Signal Application to be Transmitted on Common Cat5 unshielded twisted Pair wire with Perfect Tranmission effect, Which can be Applied in the Occasions such as Video Monitoring & Video Meeting & can Transmit four Channel of Video Image Simultaneously on an 8-Core Cat -5 Twisted ZPsir Wire. It can simplify the Wiring Projects & save wire use Quantity. Save Project wire Expenses, each A Pair of Twisted Pair wire Transits One Channel of Video Signal & One Common Cat-5 unshielded twisted Pair wire can Simultaneously transmit four Channel of Video Signal. Up to 1500m with any Active UTP Video Receiver. Upto 1250 Ft when using Passive Balun. Also Available the Passive Balun in 4 Channel ,16 Channel. HDMI : (High Definition Multimedia Interface), This HDMI Interface is Desiged to transfer both High Definition Audio & Video through A Single Cable. This HDMI Technology transmit Crystal Clear Digital Video Multi Channel Surrounds Audio & Advanced Control data through A Single Cable. 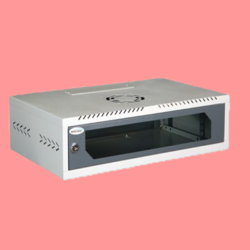 This iV-Pro Model: iV-2U-Rack is a Metal Steel Enclosure Rack with the Provision of keeping the Video Recorder along with any power supplies with a front glass for monitoring the Functions of the Video Recorder in Lock and Key. RACK ALSO AVAILABLE IN - 3U, 4U , 6U, 9U WITH 1 OR 2 CENTER PLATES. THIS 4 CHANNEL PASSIVE HD(NON-AMPLIFIED) VIDEO UTP TRANSCEIVER ALLOWS TRANSMISSION OF REAL-TIME & HIGH- PERFORMANCE COLOR OR MONOCHROME(B/W) CCTV VIDEO OR HDCVI/AHD/HDTVI/CVBS HD VIDEO OVER UTP CABLE, PERFECT FOR MULTI-POINT SURVEILLANCE. COMPATIBLE VIDEO FORMAT :: HDCVI, AHD, HDTVI, CVBS. Also Available the Passive Balun in 8 Channel , 16 Channel.